Marvel Team-Up portfolio, set two (1982) | 'TAIN'T THE MEAT… IT'S THE HUMANITY! 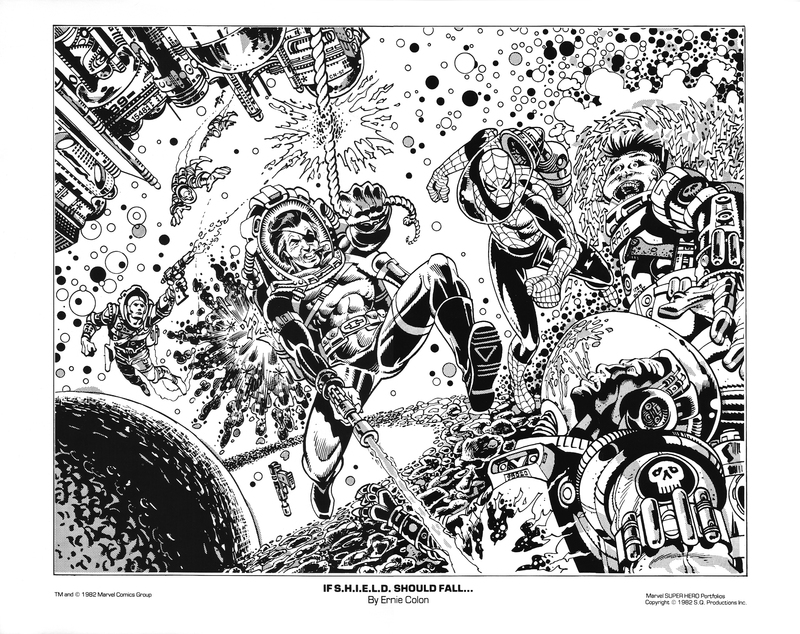 The more I keep digging through my old comic stuff the more Marvel Portfolios I find. 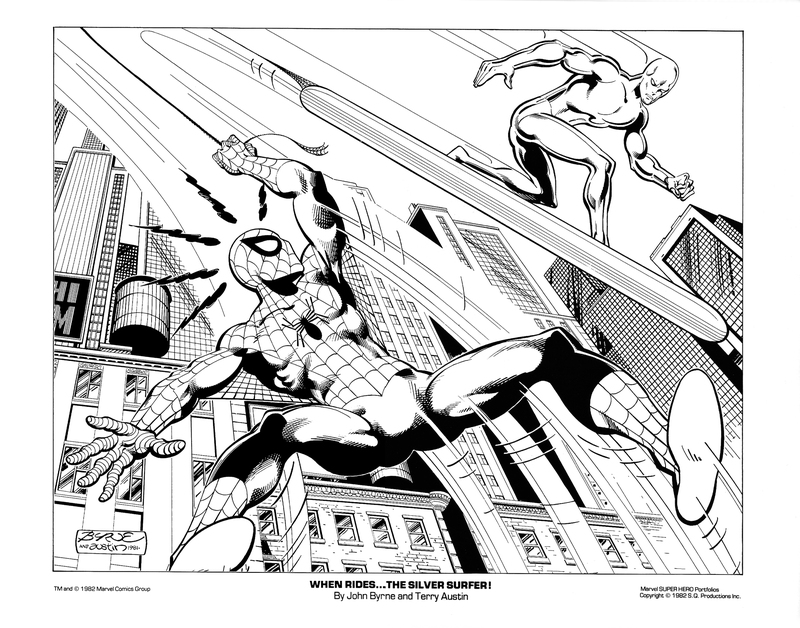 This one was published in 1982 by SQP (who seem to have cornered the market in portfolios in the early ’80s) and named after Marvel Comics’ long running title Marvel Team-Up which starred Spider-Man paired with another Marvel character – although only two of the prints in this collection are directly inspired by the title. 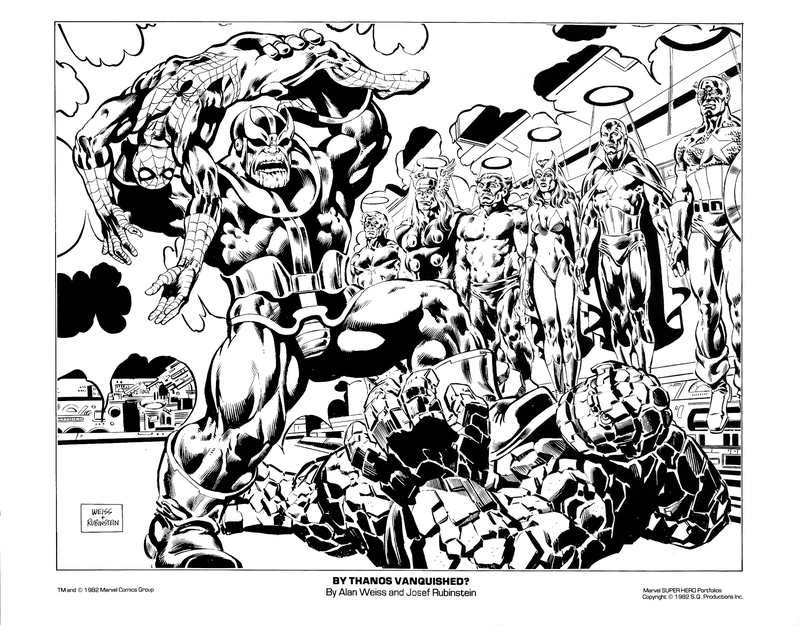 The Marvel Team-Up Portfolio Set Two, featured six 11 x 14in prints illustrated by some of Marvel’s best known artists and inkers. The set followed the same format as SQP’s previous portfolios but with a couple of differences – the prints are reproduced in black and white and instead of being packaged in cellophane, with a double-sided sheet cover, this portfolio came in a thick white envelope, not unlike the kind used by photographers. By Thanos Vanquished?, by Alan Weiss and Josef Rubinstein. 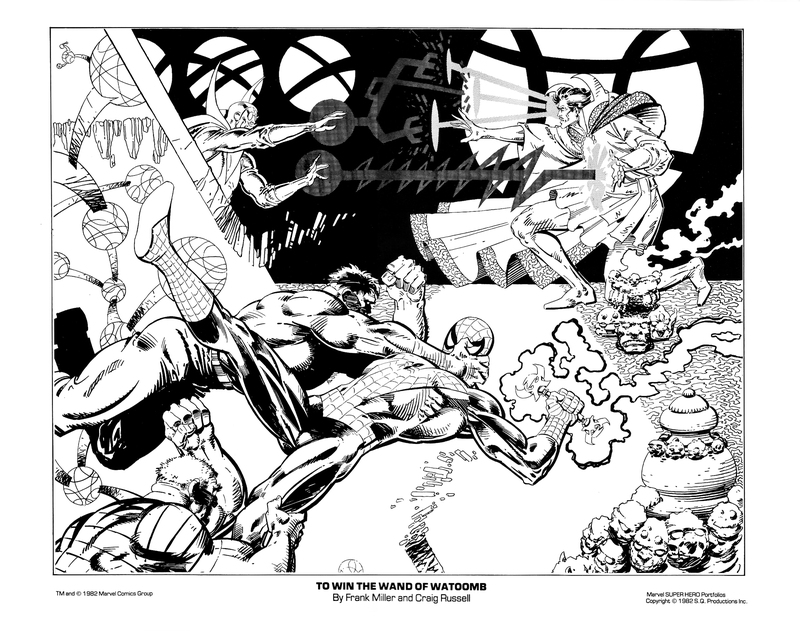 Inspired from Marvel-Two-in-One Annual #2, 1977. 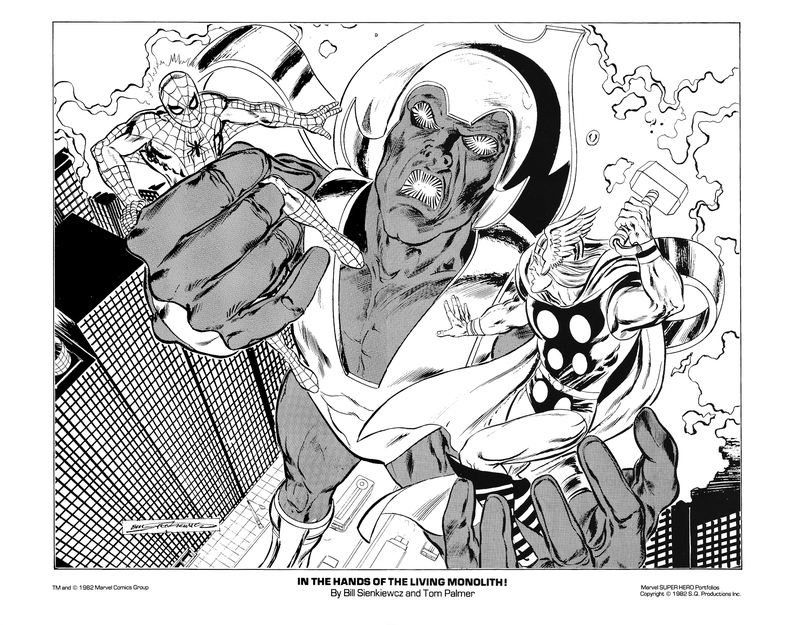 In The Hands of The Living Monolith!, by Bill Sienkiewicz (his name is misspelled on the print) and Tom Palmer. Inspired by Marvel Team-Up #70, June 1978. When Rides… The Silver Surfer!, By John Byrne and Terry Austin. Inspired by The Silver Surfer #14, March 1970. 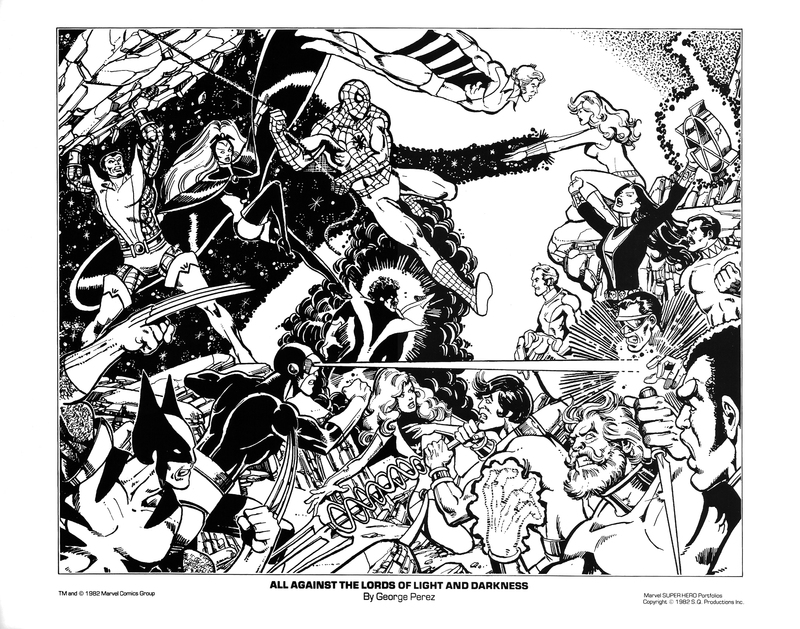 All Against the Lords of Light and Darkness, by George Perez. Each illustration is printed on heavy, bright white stock and the reproduction is very good – they are clearly meant to framed. I also have a copy of Set One and I’ve posted images from it here. I’ve a couple more portfolios in my collection, including a great John Byrne/X-Men collection from 1993.